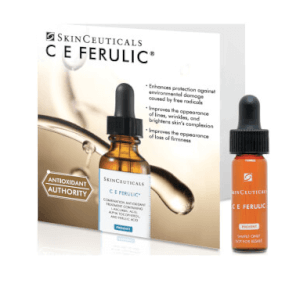 Based on my dermatologist's recommendation almost 20 years ago to use SkinCeuticals Hydrating B5 Gel paired with C E Ferulic, I continue to enjoy the surprise when telling others my real age as I enter my early 50's. I like the fluid / gel application of both products applied in the morning after washing my face, neck, and chest. Thank you SkinCeuticals for contributing to my healthy skin lifestyle. 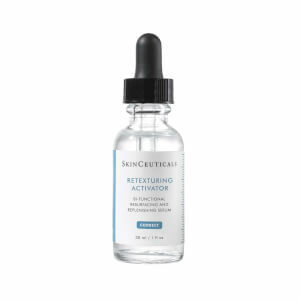 I've been using SkinCeuticals Hydrating B5 gel for years. I am frequently asked what products I use because I have very few lines or wrinkles. This is consistently my secret weapon. I use the Hydrating B5 Gel daily after CE Ferulic. Gives that added boost of hydration that truly lasts all day - need it in southern Ca. And with this product a little goes a long way. It's slightly tacky after applied but absorbs quickly; then follow with your moisturizer. I've had oily skin my entire life. It's all I've known how to handle. As I approached menopause, my skin started to become very dry and started to flake. I was really at a loss and didn't know how to deal with it. I had tried a few hyaluronic acid serums and it only made it worse. I did a lot of research and reading and decided my oily skin was dehydrated. 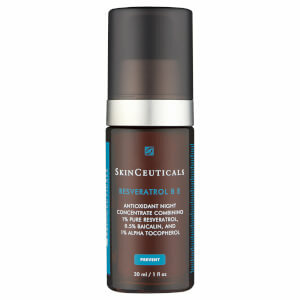 After an online chat with the wonderful folks at Skin Store, they recommended SkinCeuticals Hydrating B5 Gel. I was a bit apprehensive at first because it contains HA and given my previous experience, I wasn't sure how it was going to affect my crazy skin. It has a much more viscous texture than the more watery HA serums I've tried and very little goes a very long way. Additionally, it contains B5. It felt a bit tacky when I first applied it but it quickly absorbed into my skin, leaving it feeling supple and, as it states in its name, hydrated! I apply it in the evening, after my Vitamin C and before moisturizer/cream. I haven't had flakiness ever since! It has worked extremely well for me. I love it! I have been using this product in the morning and before bed. My skin drinks it up. It isn't heavy and doesn't clog pores. Its something I can't go without anymore. My skin is hydrated all day. It has no scent which is a plus to me. It's definitely a product that works like it should. I have been using this for about a year now. I like that a little goes a long way. It feels great on my face and absorbs nicely. It's feel refreshing on my face. 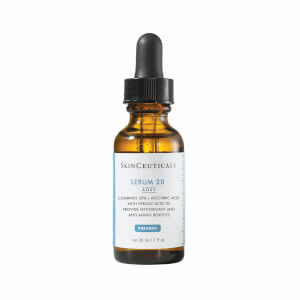 I have been using SkinCeuticals Hydrating B5 Gel for couple of years, paired with the C E Ferulic serum. I have a very problematic oily skin with large pores and occasional pimples, even though I am well over 40. So not many anti-aging product works for me. These serums don't irritate my skin, absorb quickly, and it makes me feel that I am doing something for my skin. However, I have wrinkles, and my skin visibly sags under my chin. So I am not sure how much this does to my skin, because I don't know what I would look like without it. I have high expectations towards this product, but I was let down a bit. It didn't wow me, no harm neither. I do like the texture of the product tho, very smooth, and a little goes a long way. I have been using this product since 12/15 when I turned 50 and I can tell a difference in heavy lines under my eyes caused by sun damage. I am using a skin medication that makes your face VERY dry. After some research, I found this product and thought I ought to give this product a try. After one use I immediately saw results. Love it!! !